Wheel thrown stoneware storage jar for round basket style coffee filters -- An attractive counter top addition next to your coffee machine --. This 'storage jar' also doubles as a two person casserole as it is oven safe, microwaveable, dishwasher safe, and lead free. 6 1/2 inches in diameter and 6 inches tall. Signed on the bottom. 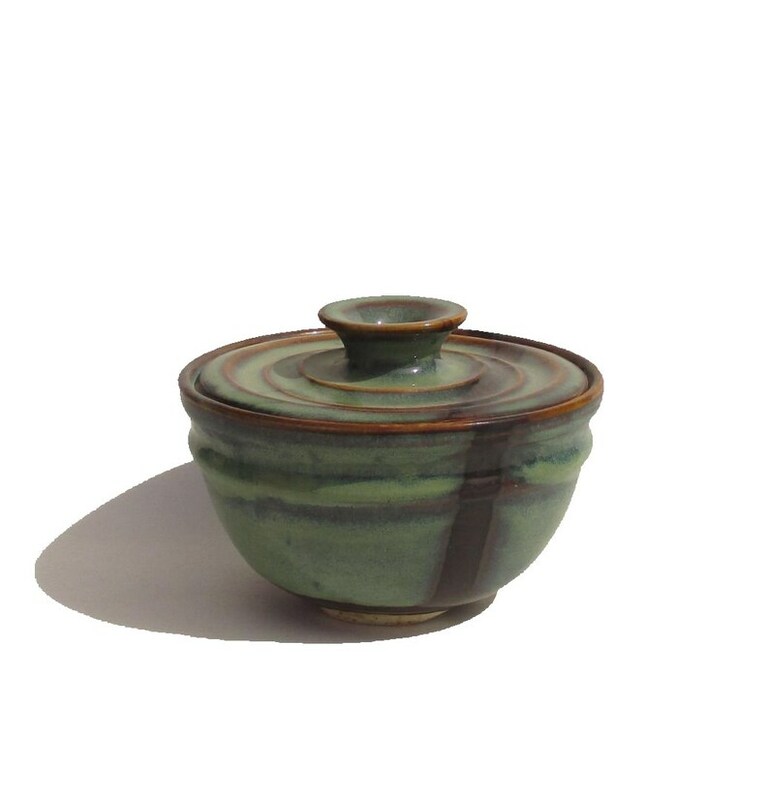 The colour shown here is called Ponderosa with a dark brown stripe about 1 inch in diameter on the lid and bottom. I was looking for a coffee filter storage jar that would fit Bunn filters. They fit perfect in this beautifully hand crafted jar. Love it! I got this for Christmas and I love it!